We have all wanted to fly the Millennium Falcon but now the time has come. 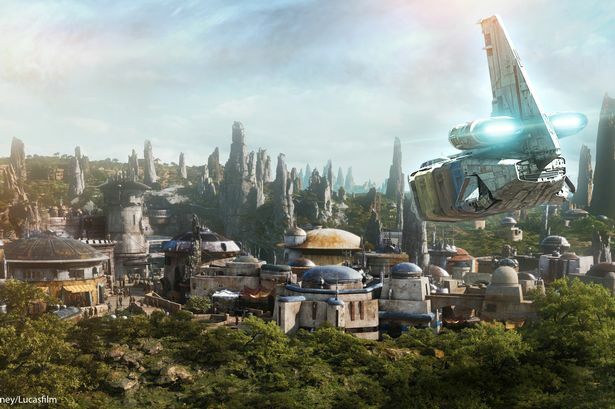 Disney has revealed more extensive details on its upcoming theme park Star Wars: Galaxy’s Edge at its annual Star Wars Celebration in Chicago, Illinois. The panel was hosted by Disney’s Frozen star Josh Gad where he was joined by panelists such as Doug Chiang, Executive Producer and Vice-President at Lucasfilm. The group revealed how the park is set on a new planet and location for the franchise, a smuggler’s hotspot called Black Spire Outpost, full of the smugglers and criminals of the Star Wars universe. Scott Trowbridge, Portfolio Creative Executive for Walt Disney Imagineering, described how this is “the biggest project that Disney has ever done”, emphasising how unprecedented the scale of the park is. In addition to Winnie the Pooh voice actor Jim Cummings voicing Solo: A Star Wars Story character Doc, who heads up the black market at the location, we will also see some classic trilogy characters return. Frank Oz will return to voice iconic Jedi master Yoda, while Rebel Alliance pilot Nien Nunb will be back and voiced by his original voice actor Kipsang Rotich, who the team behind the park tracked down in Kenya after a long hiatus from the role. Legendary composer John Williams was also confirmed to return to score the experience of Galaxy’s Edge, with some of the music being previewed for the audience at the panel. The park includes some original cantina music for the site’s social setting. Visitors will also be able to build their own customised lightsaber that has been described as nothing like similar merchandise before it. Fans will also be able to drink some blue – and green! – milk but will have to visit the park to see what that tastes like. Most excitingly, fans can enter the iconic ship that is the Millennium Falcon for the Smuggler’s Run experience, where they can go inside and control the ship for an exciting mission. There is also the chance to join the Resistance and the First Order in Star Wars: Rise of the Resistance, where you would be able to interact with characters such as Rey, Kylo Ren, Poe Dameron and more. Being held prisoner on a Star Destroyer is also something that can be experienced on the adventure too. Finally, the event revealed that Coca-Cola will be teaming up with Galaxy’s Edge to provide some Star Wars-themed bottles for the journey, including ones that resemble a thermal detonator. Star Wars: Galaxy’s Edge opens on May 31, 2019 at the Disneyland park in Anaheim, California. Star Wars: Galaxy’s Edge opens on August 29, 2019, at Walt Disney World Resort, Florida.